Special Counsel Robert Mueller filed a report of his findings in the nearly two-year investigation into Russia’s alleged role in the 2016 presidential election with the Attorney General. 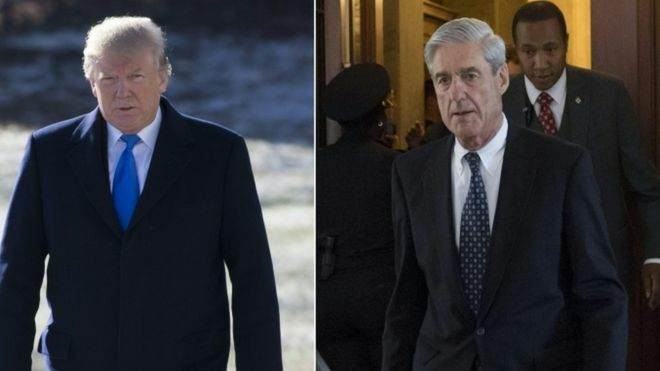 President Donald Trump and his team has been probed by Special Counsel Robert Mueller for nearly two years. American are eager to learn what the former FBI director found out. Mueller on Friday turned over his long-awaited final report on the contentious Russia investigation that has cast a dark shadow over Donald Trump’s presidency, entangled Trump’s family and resulted in criminal charges against some of the president’s closest associates. The investigation has resulted in dozens of indictments for federal crimes, and at least eight guilty pleas or convictions, which have ensnared some of Trump’s closest associates. Attorney Emmet Flood said the White House Counsel’s office received notification about the completion of the report at 4:45 p.m. In May 2017, the special counsel’s office took over an FBI probe into Russian election interference that already had been underway for nearly a near. Mueller was appointed in the spring of 2017 by Deputy Attorney General Rod Rosenstein after President Trump fired FBI Director James Comey. The comprehensive report, still confidential, marks the end of Mueller’s probe but sets the stage for big public fights to come, although sources say the report does not call for more indictments. The next steps are up to Trump’s attorney general, to Congress and, in all likelihood, to federal courts. communicated to Congress and the American public. Attorney General William Barr notified Congress that he has received special counsel Robert Mueller’s report on his investigation into Russian interference in the 2016 election. 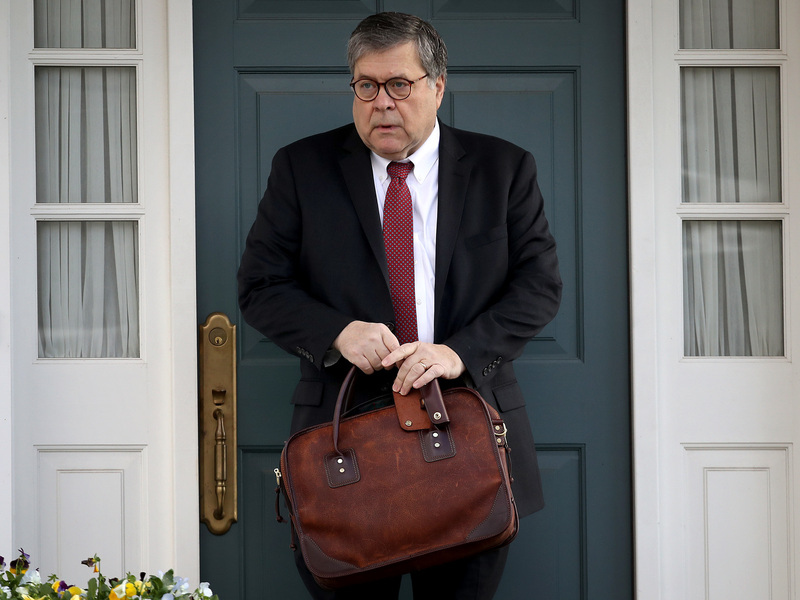 Barr notified congressional leaders and ranking members of the House and Senate judiciary committees that he is reviewing the report and expects that he may be able to lawmakers about the principal conclusions as soon as this weekend. Democrats running for president on Friday swiftly called on Barr to release special counsel Mueller’s report. Attorney General Barr — release the Mueller report to the American public. Now,” Sen. Elizabeth Warren, D-Mass, also wrote in a tweet. “The patriotic action for the Attorney General is to release the entire Mueller report to the American people. We paid for it and this moment requires transparency,” former Rep. John Delaney, D-Mass., said in a tweet. Pressure over how to handle Mueller’s conclusions is building in the Congress and across the nation. The Kremlin strongly denies meddling and says it is a victim of American political infighting. “The American people deserve to know the full truth about Russia’s attack on our elections, about financial or other connections between the President and foreign influences, and about any attempted cover up,” said Lisa McCormick, one of New Jersey’s leading progressive Democrats. McCormick said Trump put children in cages, is seeking to undermine our health care, refuses to acknowledge climate science, embraces white supremacy and stimulates hate, and he is trying to cut Medicare, so the report cannot exonerate the President. No details of Mr Mueller’s report have been released, but it is intended to explain any prosecutorial decisions the special counsel has made in the 22 months since his appointment by Rosenstein. Trump and his supporters have repeatedly condemned the probe as a partisan “witch hunt” but Mueller, Rosenstein and former FBI Director James Comey are all Republicans. Speaker of the House of Representatives Nancy Pelosi and Senate Democratic Leader Chuck Schumer also called for transparency in a joint statement, adding that the White House “must not be allowed to interfere” in the process.